Black Friday can be an incredible time for online marketers to target time-sensitive keywords that can result in immediate sales. However, this intense weekend holiday shopping spree is often a last-minute effort by many E-Commerce marketers. Get ahead of the curve with these Black Friday SEO tips, and you’ll have a better chance of raking in more holiday shopping sales this coming Black Friday. 70% of shoppers are unsure of what to buy. Video is an important content medium for shoppers, and 70% of holiday gift guide videos are viewed by holiday shoppers on mobile phones. Users are usually searching for holiday gifts using “best” in their query. Mobile in-store searches are up by over 30%. Here are some Black Friday SEO tips to help optimize your online content for the holiday shopping season. Create holiday shopping content now. The longer you wait, the more likely your competition is to get indexed and ranked faster than your content. Online marketers, including Amazon, Walmart, Guitar Center and others are even offering pre-Black Friday sales nowadays, and they are publishing related online content early. Don’t be left in the dust. Create holiday shopping videos. Video is an ever-expanding content medium, and one that’s especially of interest to holiday shoppers. Create videos curating your best holiday gift options and promote your video on your website, on YouTube and anywhere else where your target audience is looking for gift recommendations in your niche. Ensure your website is mobile friendly. Your target audience is likely going to be browsing holiday gift options during Thanksgiving week while on the couch, in the bathroom, in the car, and anywhere else where they have down-time without a desktop or laptop computer nearby. If your website is not mobile friendly (including your checkout process), your conversions will struggle. Curate your best reviews with your products to increase percentage purchases from in-store mobile researchers. Your floor sales reps need to be aware of this and not interrupt a potential customer during their in-store mobile research. Nothing irks an in-store shopper more than having their personal shopping experience interrupted. Ensure they are prepared to offer advice on where they can find the best reviews of your in-store products and assist the in-store mobile researcher’s online journey rather than interrupt it. Realize that your shoppers will spend the majority of their efforts using search engines (mostly Google) for price comparisons, promotional offers and reviews. Your floor sales reps need to be prepared to price-match and be equipped with competitive promotions. Research your keywords with Google Suggest. Since many keyword research tools may not have enough historical data to present the latest search terms that searchers are using, Google’s auto-suggest tool can be a great way to get the latest popular keywords that searchers are using. Start typing the following “black friday,” Then, add your topic as the next word and see what Google suggests. Use Google’s “Searches related to…” feature at the bottom of Google search results to see what other keyword phrases are popular. You might find that words like “Thanksgiving” are also suggested, and you’ll get more keyword ideas as a result. Target queries with “best” in the query phrase. Your target customers are bombarded with an enormous amount of gift options during their holiday shopping journey, and they want to know what the “best” gift options are. When conducting your keyword research, look especially for “best” keywords. Use Black Friday-related keywords that you would type in if you were shopping for your product. Sometimes the best keyword research comes simply from thinking like your consumer. What phrases do you think they are typing in? Type those in yourself and repeat steps 1 and 2 above. Use the current year in your Black Friday content. 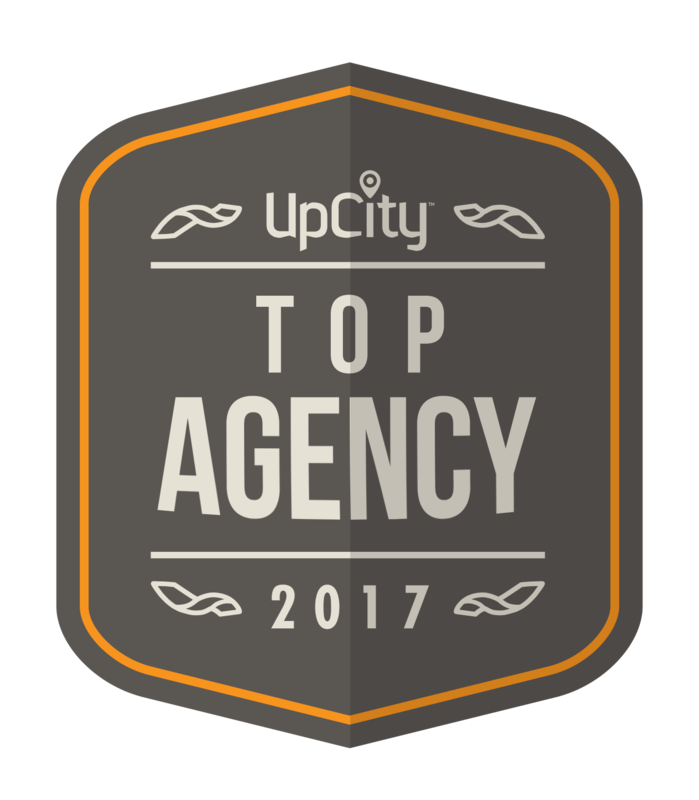 Using the year in your title can help your click-through-rate (CTR), as it helps users immediately identify that your offering is current. It also optimizes your content for users’ keyword phrases that include the specific year (and they will use the year, don’t you doubt it). Keep the year out of your URL. By excluding the year from your Black Friday content’s URL address, you will avoid having to redirect the URL each year. This creates a more consistent historical link profile that can aid your search engine ranking ability (each year) as you continue to promote the same URL address. Use images and optimize the alt tags for Black Friday-related keywords. Images make online shopping more compelling, and also offer another way to optimize your landing page via alt tag optimization. Be sure to use text that correctly identifies your image (for Google Image SEO) but also add your Black Friday-related keyword primary keyword phrase at the end of it. Build links to your Black Friday content early. Just as with tip #1 above, you should build links to your post early to ensure that Google indexes it and builds credibility for your post early, to ensure optimal search engine rankings. Don’t forget about Cyber Monday. Consider combining both of your Black Friday and Cyber Monday offerings into one post, however it’s best to optimize a single page for a single keyword phrase. With this in mind, you could publish your Cyber Monday content on Friday evening, to ensure Google has plenty of time to index and rank your content well before Monday hits. Clearly state your offering. Make it obvious what your discount is, whether you’re offering free shipping, and what the specific promo code is for your offering. Use more text than images. Google is improving its ability to read images, however, text is still very important. The more text your page has, the more ability you have to use keyword variations and increase your long-tail keyword traffic. Keep it within reason. Word counts in the 500-1,000 word range will probably suffice. But, focus on providing depth and detail to your prospective shopper more than focusing on word count. Consider paid listings. This Moz article offers insight from the Wayfair SEO team showing that over a recent two-year period, “the total share of organic clicks on page one of our e-commerce SERPs has dropped 25% on desktop and 55% on mobile.” Google is taking more and more SERP real estate for its paid listings (ads, PLAs, etc.). If you’ve mostly relied on SEO for your Black Friday and holiday eCommerce strategy, now is the time to create a Paid Search budget and hedge your bets. I asked Rebecca Lehmann, recognized Black Friday expert and Content Marketing Manager at Brad’s Deals, to chime in with some additional Black Friday SEO tips. 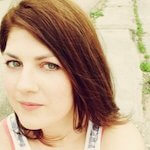 She took the approach of offering advice from the perspective of a Black Friday aggregator and affiliate, and provides a few observations (and maybe less obvious SEO suggestions) for merchants. Rebecca has led content marketing and SEO for Brad’s Deals since 2011. In addition to publishing the best deals from across the internet every day, Brad’s Deals goes deep on Black Friday coverage every year, collecting and analyzing the top Black Friday ads to help readers plan and budget for their shopping lists. Adding to your mobile SEO advice, it’s worth noting that Black Friday sales happen during a travel week. Desktops don’t travel, and so around mid-week we’ve historically seen a shift towards mobile devices. It’s not just about in-store searches – it’s probably MORE about the fact that the entire country goes to Grandma’s for Thanksgiving, which removes desktop as an option for many. My best link building advice is to do something newsworthy and pitch the hell out of it. Journalists start covering the Black Friday beat starting in late October, and at that point there’s still so little news that they’ll cover a lot of stuff that they wouldn’t touch in mid-November. For example, announcing that your brick and mortar stores will be closed on Thanksgiving (even if they always are) will earn you dozens of links so long as you time it right (before 10/31 is ideal). Media covers passion, and stores being open or closed on Thanksgiving inspires a ton of it. Understand where shoppers’ angst lies and lean into it with press. Keep a dedicated Black Friday page on your site year round. It should be simple and predictable, like “yoursite.com/blackfriday”. You don’t actually need to maintain it with fresh content year round – Google is pretty good at understanding Black Friday seasonality and no one is visiting it in June anyway – but it does need to be indexable year round. This was the single biggest miss for most stores when I started covering Black Friday five years ago. The Black Friday sites would outrank Macy’s for “Macy’s Black Friday ad” because they would throw up an event page and then pull it down when the season was done, and we ran all over them. Eventually, Macy’s and others figured it out. “<Yoursite> Black Friday Ad” is a brand term that you should dominate. Even if you don’t have a storefront, have your graphics team make an ad for your Black Friday sale. It should look like a Sunday circular and be formatted as a PDF. Put it on your /blackfriday page. Submit it to the Black Friday aggregators, and if they post it you’ll get links, social shares, newsletter mentions–but only if you have a graphic ad that resembles a circular. (This is Amazon’s biggest miss every year since they just put out a list in a press release. No one can upload that to an ad viewer. It’s useless!) Timing is important for distribution here, too. The Black Friday sites are most likely to post it during the dry spell when anticipation is high but before the big box stores have dropped their ads. The sweet spot is the first five days of November. Once Walmart is out, Walmart dominates all news. Don’t try to compete with Walmart. 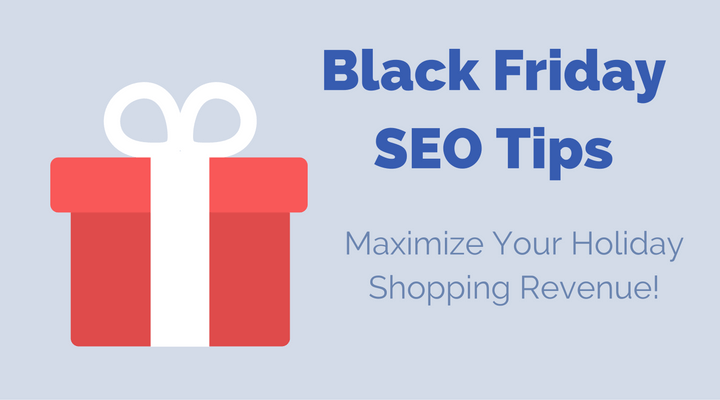 These tips will help your Black Friday SEO efforts tremendously. If you forget to target this popular shopping season with your search engine optimization efforts, you’ll miss out on a huge revenue-producing opportunity!